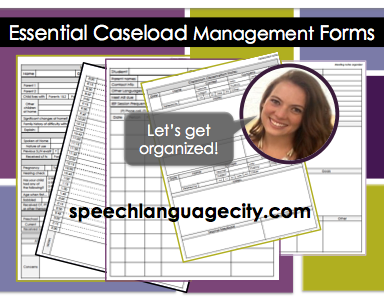 Speech Language City: Let's Get Organized! Boy oh boy has this summer been BUSY! At the end of July, I moved from DC to Philadelphia, after a whirlwind month of finishing up the school year, packing, and squeezing in last sessions with my private clients. Now that I've settled into my new place, the biggest thing on my mind is the anxiety about starting the school year working for a new company, in a new city. This is my first year working for a contract agency and I've already realized that I'm going to have to be super organized from the start since there are still so many unknowns... Less than a month before school begins and I still don't know where I will be placed! But that's the nature of contract work, and I'm going to have to be flexible and calm and just go with it! Since I don't know the ages/populations I will be serving this year, I've spent a lot of time preparing things that will be universally helpful with caseload management and organization. For everyone else feeling those beginning of the year butterflies, I hope these materials will help put you at ease. Amidst lots of uncertainty, I have to say that organizing a killer caseload binder is incredibly soothing. Good news is you can snag all of the forms I've made on TpT! 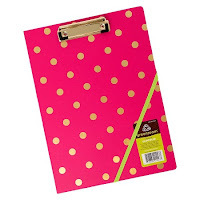 1) Clipboard: A clipboard is absolutely essential for my daily schedule and note taking, as well as shielding curious eyes from my data collection and test scoring sheets. Last year I used this cute Greenroom clipfolio from Target consistently throughout the year. Which is pretty amazing since I NEVER stick with anything that long! The clipboard/notebook combo was just what I needed for day to day stuff. The only drawback was that I quickly filled up the inner pocket with loose papers and it became an exploding clipboard by the end of the year. So this time around I'm going with something a bit bigger and sturdier, but with the same idea. I found the one to the right on Amazon and am so excited to give it a try! The little pencil box at the bottom should help me keep a pen at the ready (anyone else write their notes in crayon from time to time?!) and I like the flexibility of the case underneath - I can carry a notepad as I did last year, or folders, or my ipad... Whatever I need. The plastic is also Clorox wipe friendly, as all things in the schools should be! The antimicrobial version is a bit pricier, but would be great if it actually worked. 2) Daily page: If you've got a clipboard, you need something to put on it, right?! 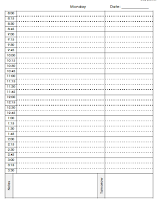 I usually make daily pages with my schedule pre-printed and room around the sides for planning and data tracking. But with my schedule still unknown at this point, I wanted to create something that I could edit to reflect my recurring events, but that I could also handwrite on until I get in the swing of things. I always keep a couple pages of blank paper back there too, which is always nice to have if I need some extra space to draw something out during sessions or meetings. 3) Meeting notes: I have a bad habit of writing meeting notes in any old place - On the back of IEPs, on sticky notes, my grocery list... Anywhere! 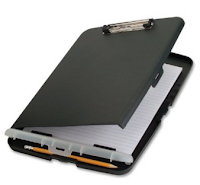 In my handy clipboard case I plan to have a folder with black meeting notes forms as well as my testing log to keep track of scheduled evals and case history form to guide conversations with parents during evaluation planning meetings. 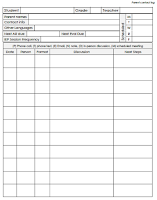 Again, all of these lovely forms are available in my Essential Forms packet on TpT. 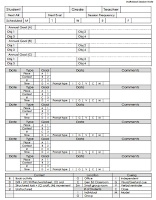 4) Observation notes: I use a Google Form to keep track of my observation requests, which I highly recommend. I just put the link to it in my email signature so teachers always have it. This system has really cut down on the number of fly by referrals I get - If you tell me that you have concerns about a kid as I'm on my way to the bathroom or in line for the copier, chances are I will immediately forget. I love have an electronic record of the requests, but I'm still old school with the note taking part. I often transfer my handwritten notes into the electronically form, but that happens sporadically. After I get an email that a request has been made, I check out the concerns and the preferred observation times. 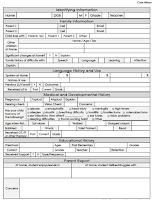 Then I confirm with the teacher and go in with this awesome form. These forms will live in my clipboard in another lovely folder. 5) Binder: My SLP binder houses pretty much everything else that I need. Our IEP system is online so I've done away with a lot of the papers that I used to keep in there. I have one binder for each school with a tab for each student. 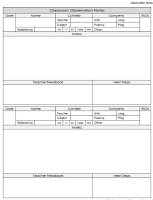 There are two data sheets and a contact log behind the student tabs. 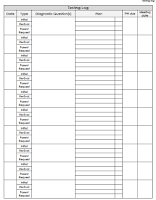 Since the data sheet conveniently has goals and session frequency at the top, I really don't need to bulk up my binder with much else! Guess where you can find these forms?! On TpT!!! 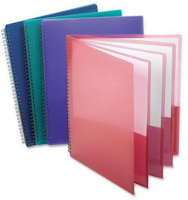 6) Group folders: Last year I started using group folders and I really loved it. I kept data sheets, planning, and relevant worksheets/homework right in the folder. I had one magazine holder box for each day with the schedule of sessions posted right on it. The folders had color coding dots on the spine to indicate if it was a once weekly group or a more frequent session. After each session, I simply put the group folder in the empty box on the left as a reminder to transfer the data over to my log. After transferring the data, I slipped the folder back into the daily holder, whether it was the same or later in the week (thank you, colored dot!). I don't know if I'll be using the folder system this year, solely because it is a lot to prepare and I don't know if I'll have time once the year gets running. I love the idea of upgrading to a multi-pocket folder if I do decide to stick with it. That's it for my ideas! 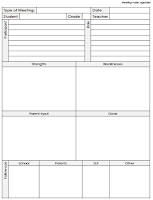 How do you plan on staying organized this school year?